Ingredients: Cherries, sugar, lemon-juice concentrate. Gellant: pectin. Preserve Finely-sieved Apricot 450 gr. - Darbo 4,70 EUR / 10,44 €/kg. Preserve Plum finely sieved 450 gr. 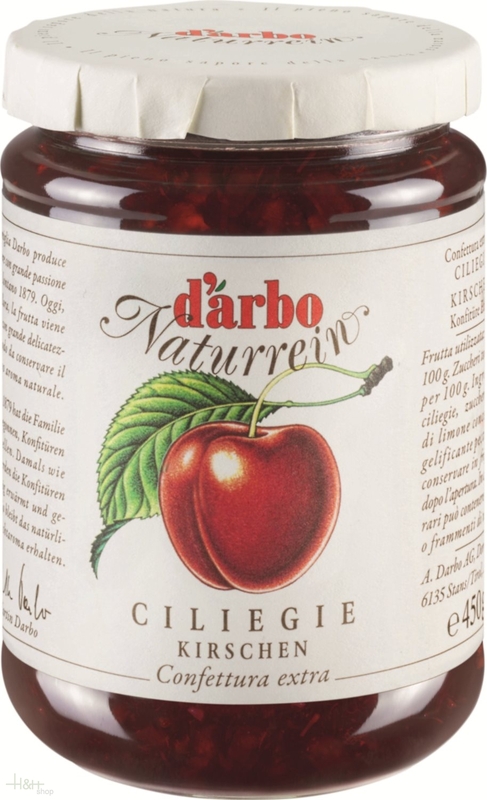 - Darbo All Natural 4,70 EUR / 10,44 €/kg. Blueberry fruit spread 70 % 275 gr. - Bühlerhof 5,55 EUR / 2,02 €/100 gr. Strawberry fruit spread 70 % 275 gr. - Bühlerhof 5,55 EUR / 2,02 €/100 gr. Blackberry fruit spread 70 % 275 gr. - Bühlerhof 5,55 EUR / 2,02 €/100 gr. Forest Berries fruit spread 70 % 275 gr. - Bühlerhof 5,55 EUR / 2,02 €/100 gr. Raspberry fruit spread 70 % 275 gr. - Bühlerhof 5,55 EUR / 2,02 €/100 gr.